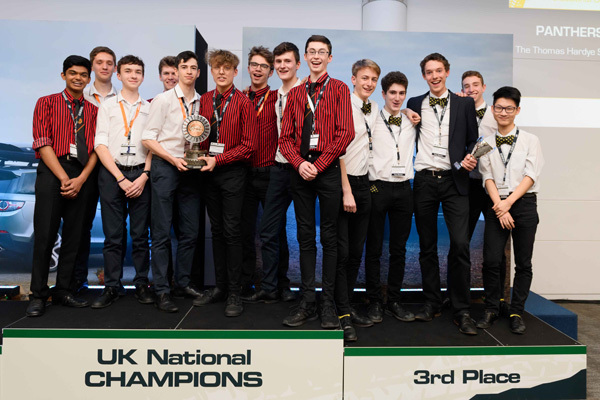 Two teams have been crowned winners at the Land Rover 4x4 in Schools UK finals for the first time in the competition’s history. In a fiercely contested two-day contest at the British Motor Museum, students from The Thomas Hardye School from Dorchester and King Edward’s School in Bath came out on top of the class as they shared first prize. Each team, consisting of 13 to 18 year olds, used software coding to design and build a remote control, all-wheel drive vehicle to tackle a miniature off-road course. The teams were then scored on their track performance, which included water dips, a rope bridge and rock climbs. Before sharing their knowledge of vehicle design and engineering accrued throughout the competition. A new challenge introduced for this year’s finals saw students also challenged to develop concepts for vehicle innovations that reflect the move towards an Autonomous, Connected, Electric and Shared future. Each team presented their ideas to a panel of designers, as students from Kirkby’s All Saints Catholic High School took the accolade for their roadside sensor warning device. 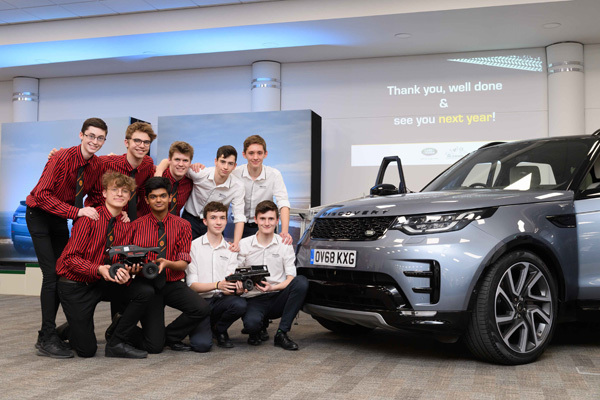 Speaking on the day, Chris Thorp, Jaguar Land Rover’s Responsible Business Director, said: “We are passionate about inspiring the next generation of engineering talent and the Land Rover 4x4 in Schools Technology Challenge is a vital part of our education programme. “Digital skills are critical to our business and we need more talented software engineers to help us develop innovative technologies for our vehicles. The winning teams will receive a bespoke careers immersion day at Jaguar Land Rover and can apply for an engineering scholarship at Harper Adams University in Shropshire. The UK National Finals was also an opportunity for the students to learn about what life at Jaguar Land Rover is like, as apprentices, graduates and engineers explained why the skills they learnt through the programme will set them up for a career in engineering.